The Ministry of Transport has denied reports that it has directed Uber to ensure all its drivers brand their cars like taxis. The General Secretary of the Commercial Taxi Drivers Association of Ghana, Steven Nimo, was reported to have said the decision was reached at a stakeholder meeting on Wednesday. But the Transport Ministry’s Public Relations Officer, Gloria Holm-Graves, confirmed to Citi News that the said meeting was inconclusive on the matter. The Ministry is coordinating talks between the Commercial Taxi Drivers Association in Ghana, Uber, and other stakeholders. Taxi drivers have consistently voiced their displeasure with the operations of Uber drivers, who they say are taking their passengers whilst violating laws of Ghana, specifically LI 2180 regulation 130. The taxi drivers are, among other things, concerned with the fact Uber drivers are exempt from the payment of the Vehicle Insurance Tax every quarter. “They [the taxi drivers] are paying VIT [Vehicle Insurance Tax] every quarter. They are paying the DVLA [for road worthiness] two times a year. They are paying certain levies to the assembly for embossment,” Mrs. Holm-Graves noted. 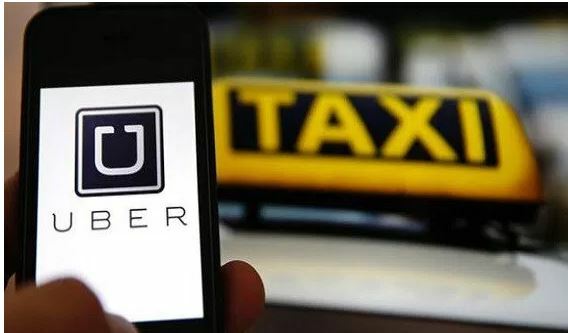 The taxi drivers are seeking a more level playing field with their agitations over the past year, and the Transport Ministry looking to determine if Uber drivers fall under the umbrella of taxi services. She however stated that no definite assurance was made to the Association that would have necessitated the erroneous reports attributed to the Transport Ministry. “Since it is a process, we are still dialoguing. We haven’t concluded yet. We haven’t concluded as of now that Uber is a taxi service or whatever. We asked them to bring all their documents, we are going to study them and then we’ll see,” Mrs. Holm-Graves said. Since Uber was launched in 2009, it has been at the centre of regulator disputes in different countries, and has at times been forced to change its business model as a result. The European Court of Justice recently ruled that Uber was officially a transport company and not a digital service. The ride-hailing firm argued that it was an information society service helping people to make contact with each other electronically and not a cab firm. In Ghana, Uber is present in Accra and Kumasi and hundreds of drivers have jumped onto the platform to make a living either on a full-time or part-time basis. The furors surrounding Uber’s operations has been noted as an example of how regulators are struggling to make sense of the phenomenon known as the gig economy.